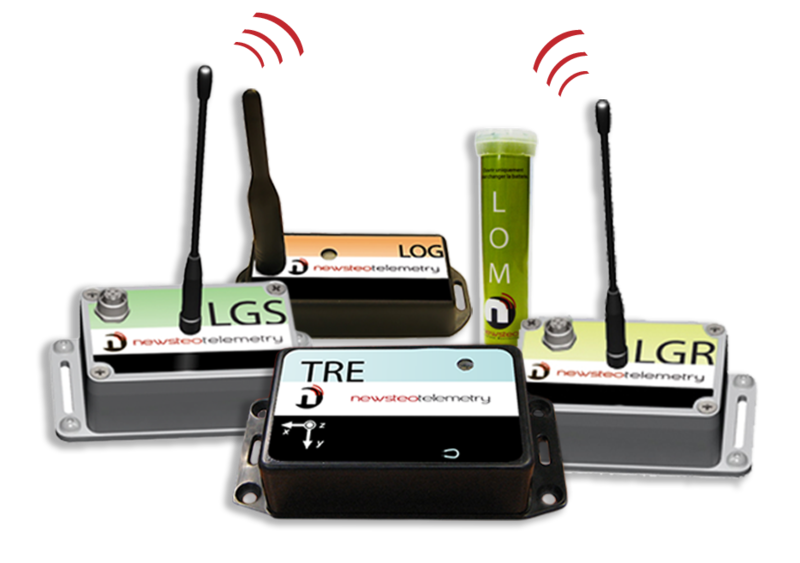 Newsteo solutions make it possible to establish a wireless sensor network, across multiple sites with multiple connected sensors on each site. All measurements are then stored in a single database. It is then possible to check the measurements from anywhere through the web application Webmonitor. 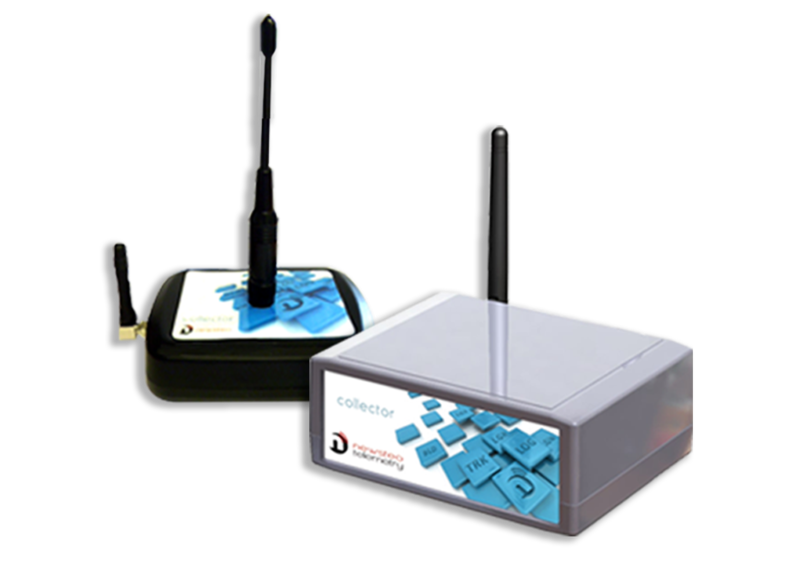 The wireless data logger (also called connected sensor, wireless sensor). It can measure temperature, humidity or other value. It is possible to use several ones, on different sites. At the set the frequency, the transmitter recorder takes the measurement and transmits it to the radio receiver. 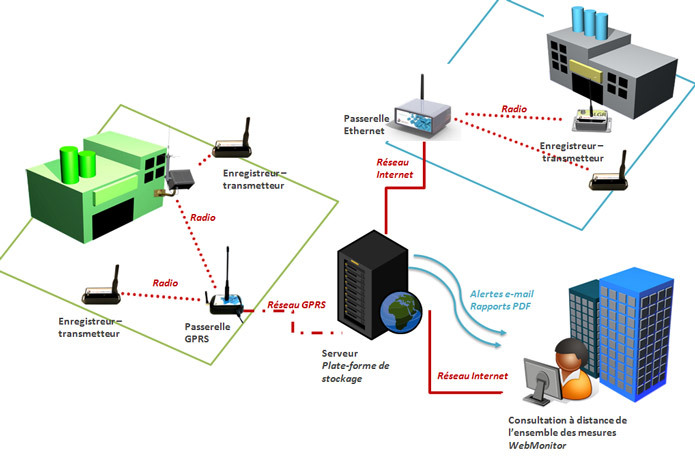 The radio receiver: this gateway will receive measurements and automatically transmit them to the storage platform (Newsteo server) in the Cloud. Transmission is done via Ethernet or GPRS. 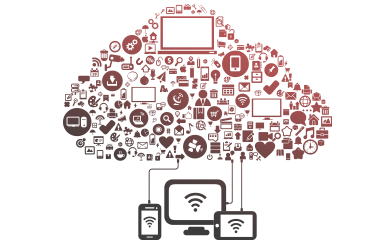 The storage platform: Newsteo server that stores all the measures. 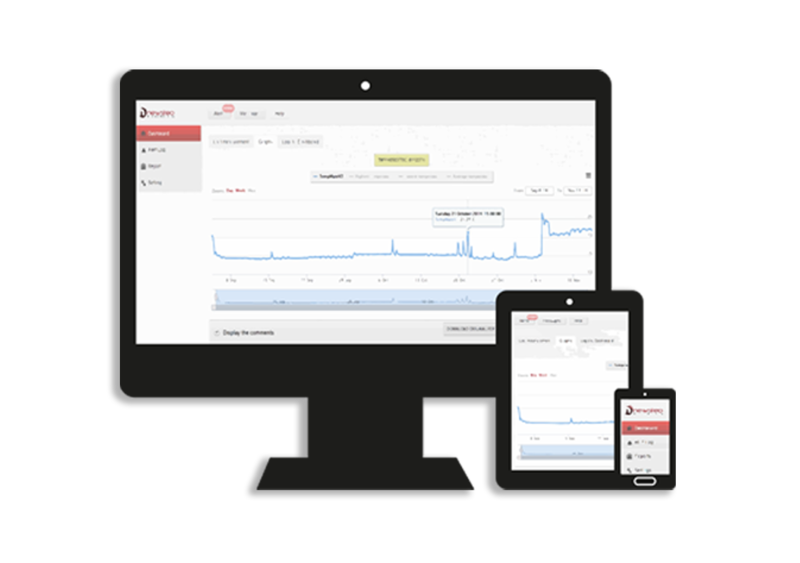 The measurement displaying web application, Webmonitor. After authentication, the user connects to the measurement storage platform . The measurements are presented in graphical form. It is also possible to remotely change the settings of connected sensors. Email alerts and PDF reports sending: the platform sends real-time email or SMS alerts in case of alarm on a logger (value out the threshold …). It is also possible to program the regular sending of PDF reports. Feel free to contact us so that we study together your needs.